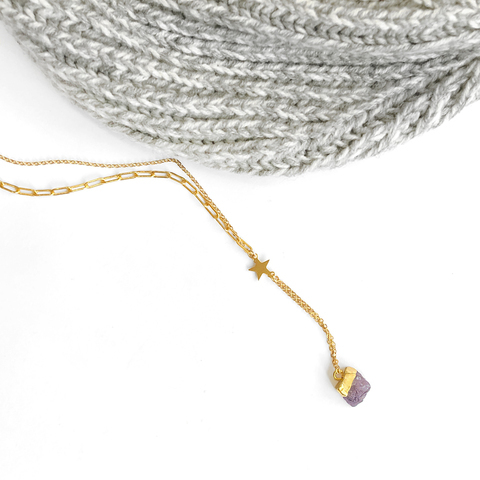 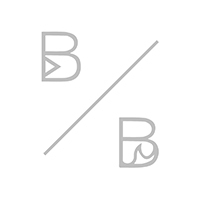 A tiny star connects two different chain types to be a playful and cool design. 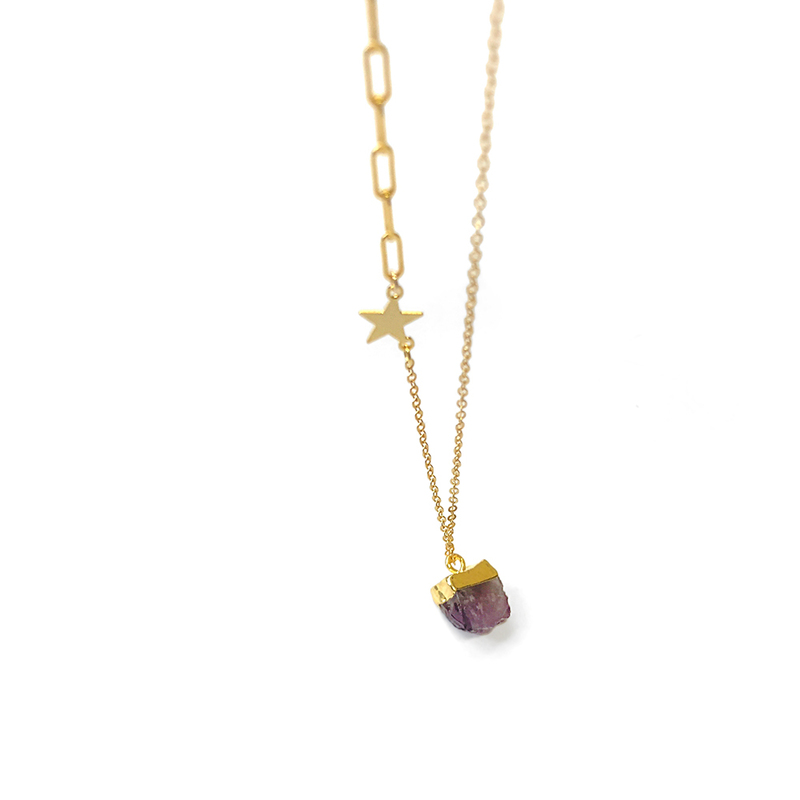 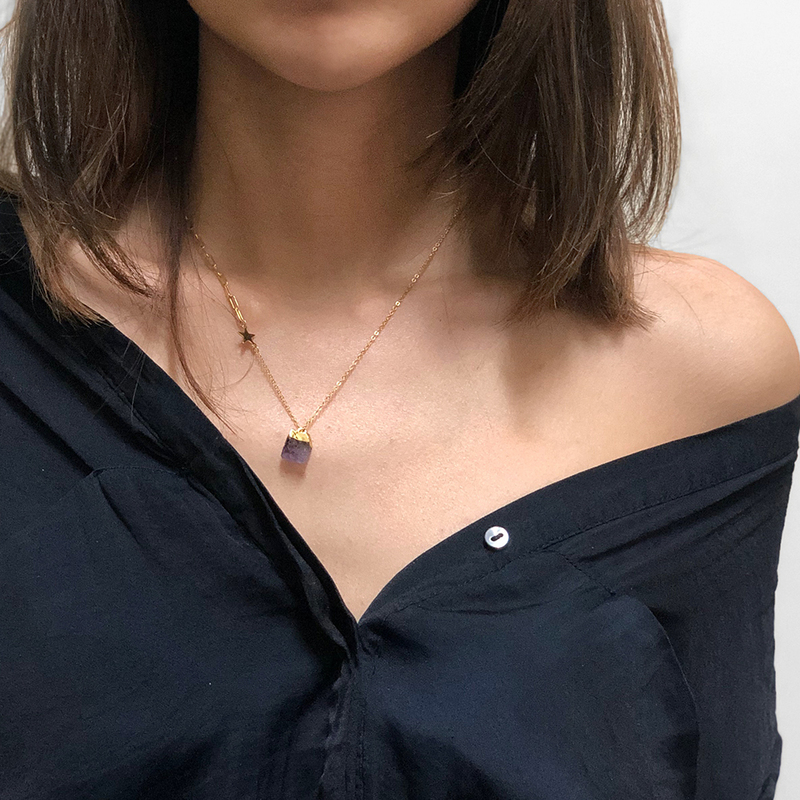 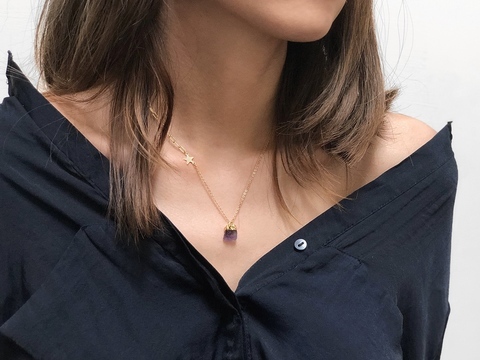 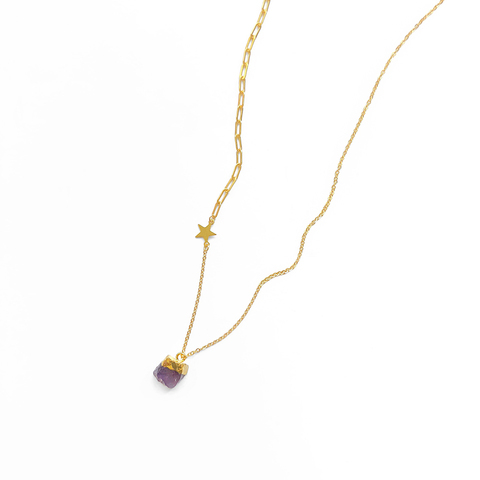 This refinement necklace with an organic shaped amethyst gemstone. Amethyst is said to be a gemstone that promotes peacefulness, inner strength and clarity of the mind. 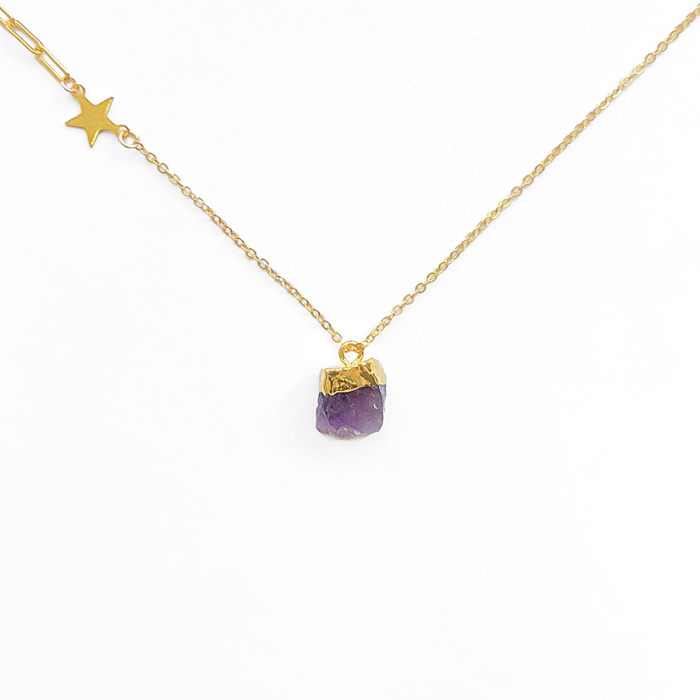 As February's birthstone it would make the perfect gift for someone born in this month. 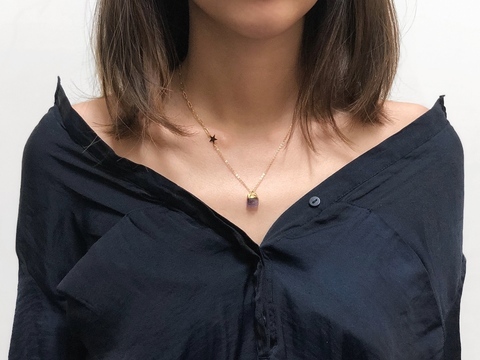 Circumference: 40 cm / 16"